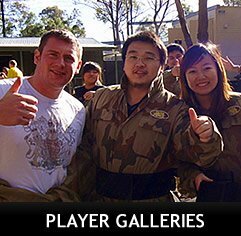 Delta Force Paintball Newcastle – Newcastle’s Best Paintball Centre! Delta Force Paintball has arrived in Newcastle! Experience a paintball day that is truly different. Say goodbye to burnt out cars and old hay bales and say hello to 10m pyramids and tanks! Delta Force Paintball runs quality paintball experiences unlike any you have ever seen before. We offer paintball packages and the highest quality safety equipment, and you can hang out at our Base Camp if you’re not out on the field. Quality Equipment. Best Customer Service. Epic Gamezones.